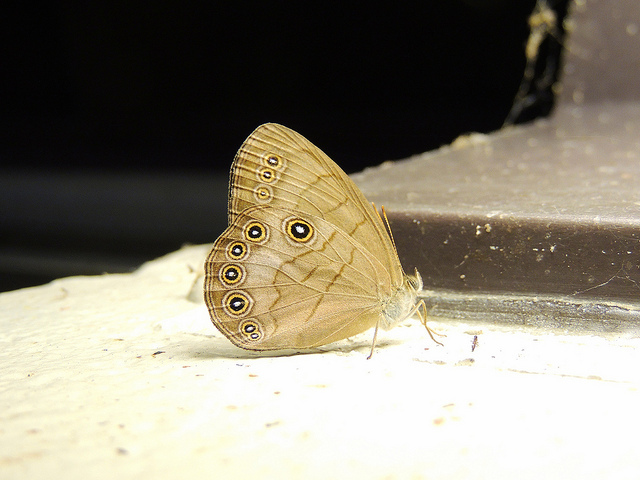 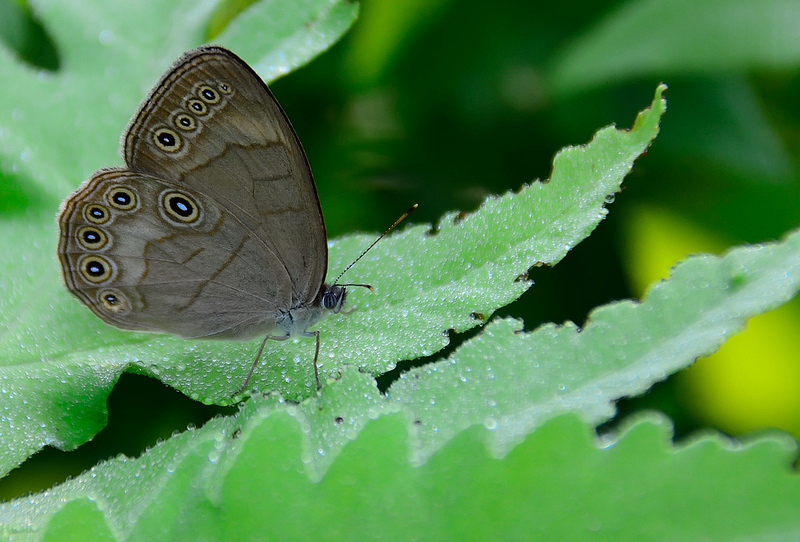 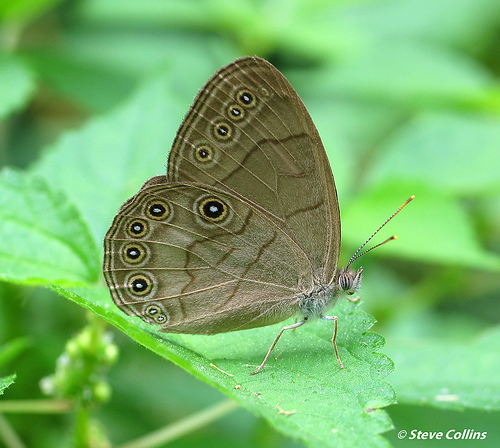 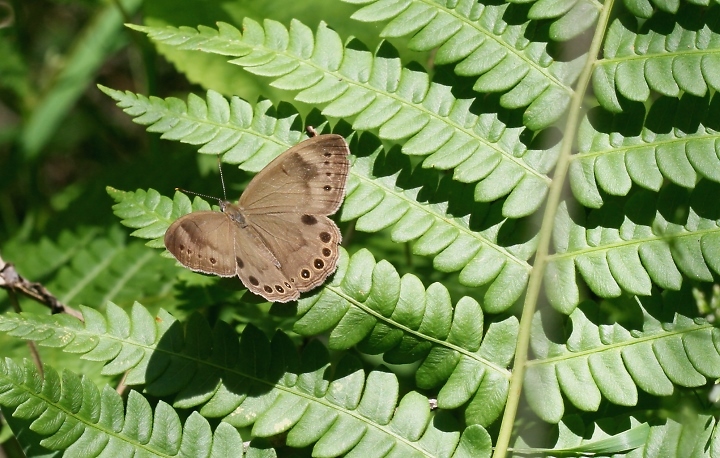 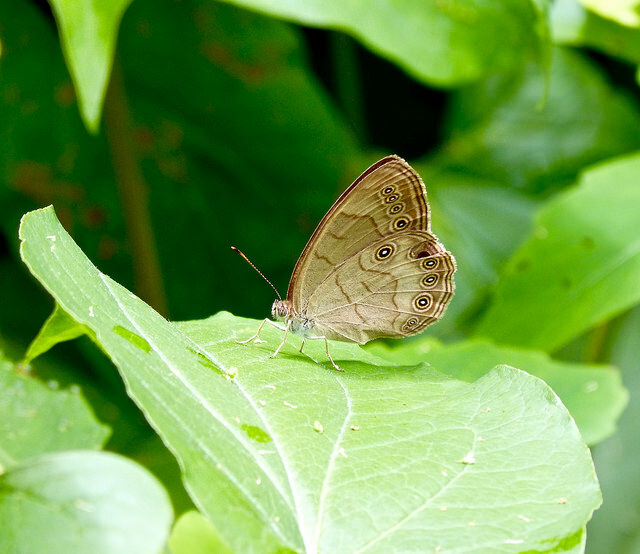 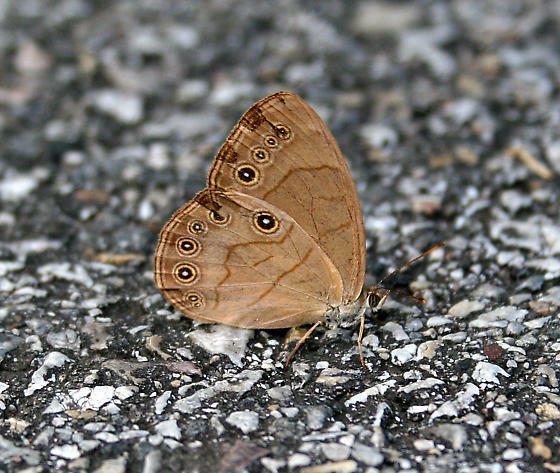 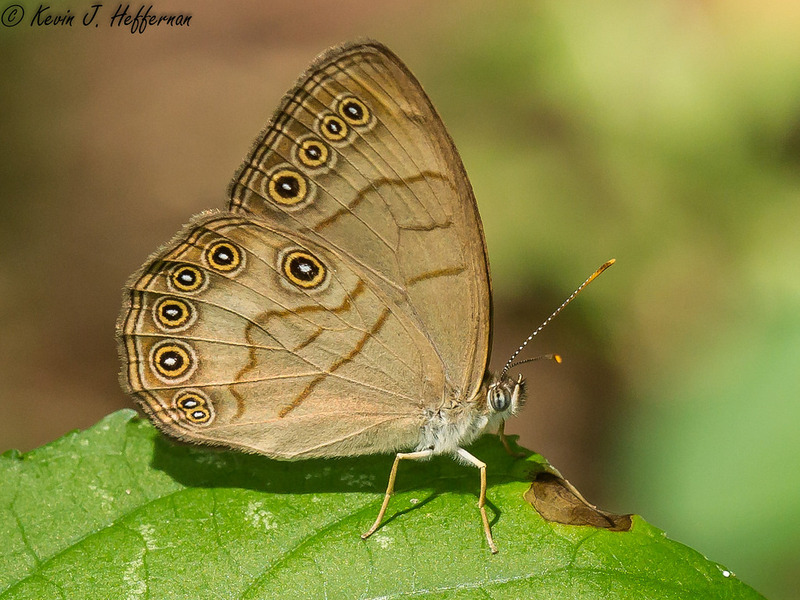 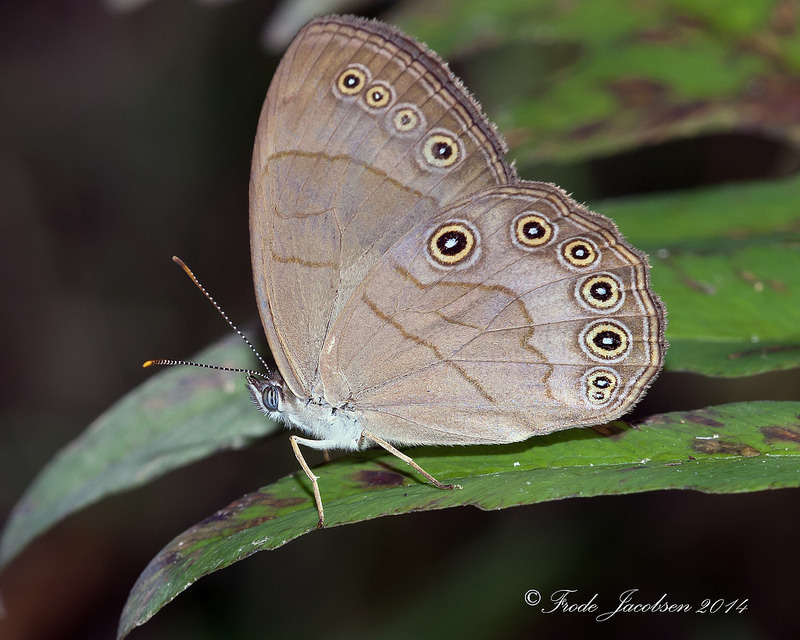 Appalachian Brown Lethe appalachia R. Chermock, 1947 Synonyms: Satyrodes appalachia. 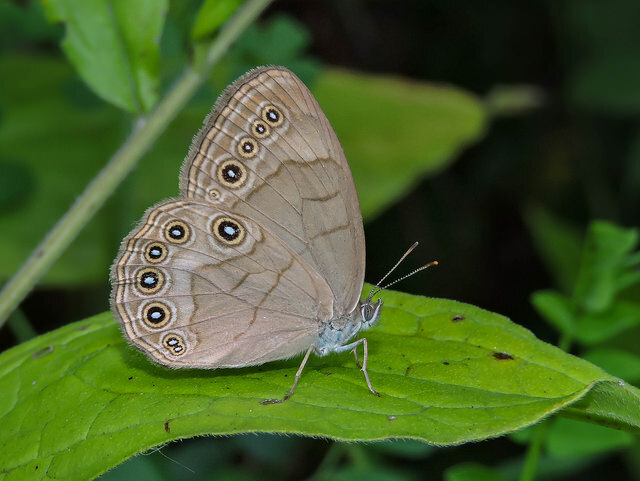 Appalachian Brown (Lethe appalachia) is a large, brown butterfly with a number of small eyespots along the margins of the wings. 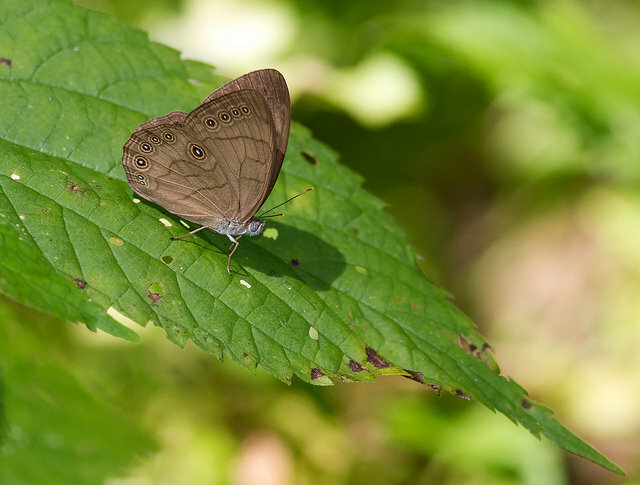 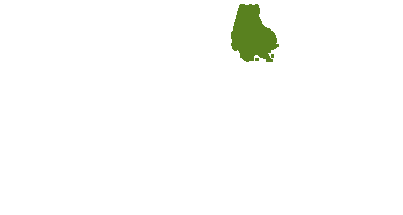 Like other members of the subfamily Satyrinae, this species generally frequents shaded forested habitats, and rarely leaves the cover of trees for open areas. 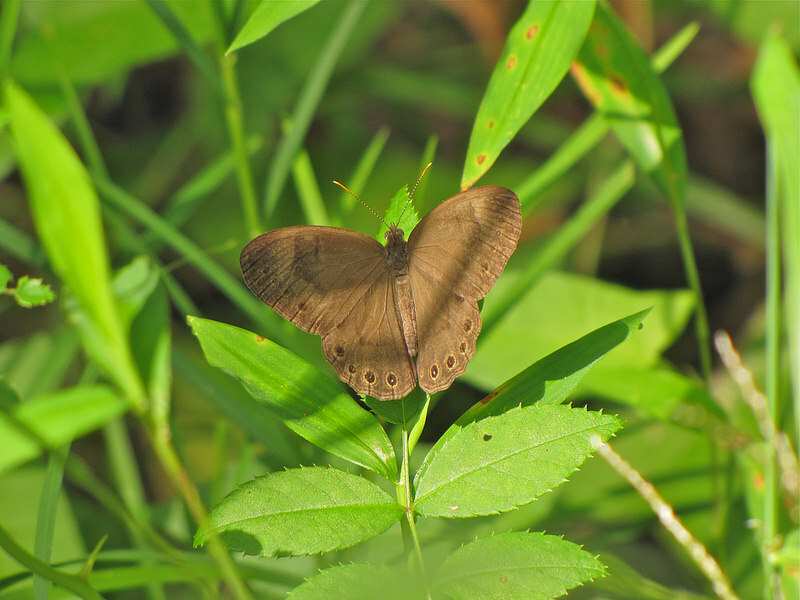 This common woodland butterfly has two broods in Maryland, in June, and then again in August (Butterflies of Maryland: A Biological Summary and Checklist by Lynn Davidson & Richard Smith). 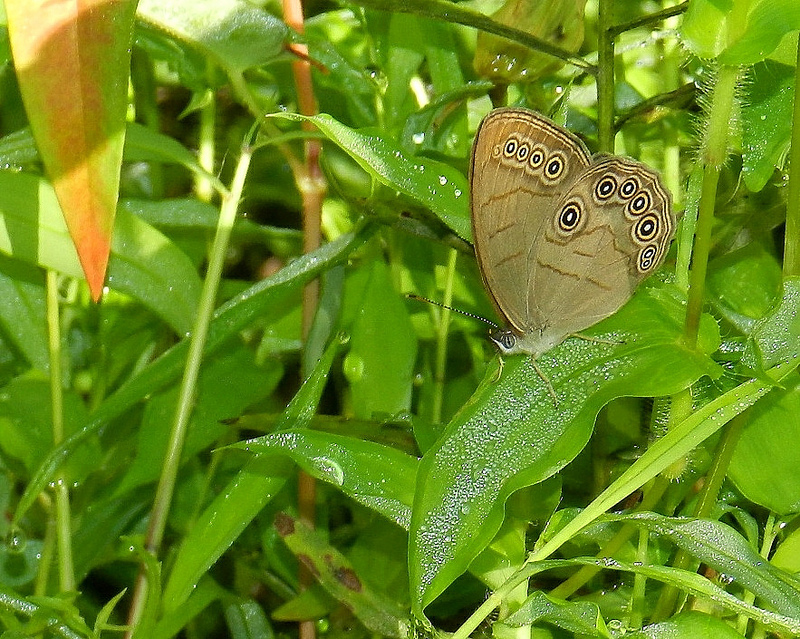 Uses sedges as host plants. 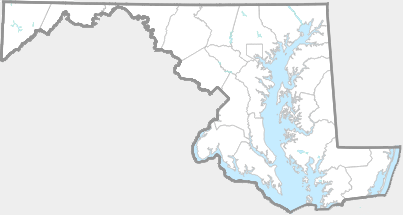 Reported to use Carex lacustris in New York, and C. stricta in Pennsylvania, New Jersey, and Connecticut. 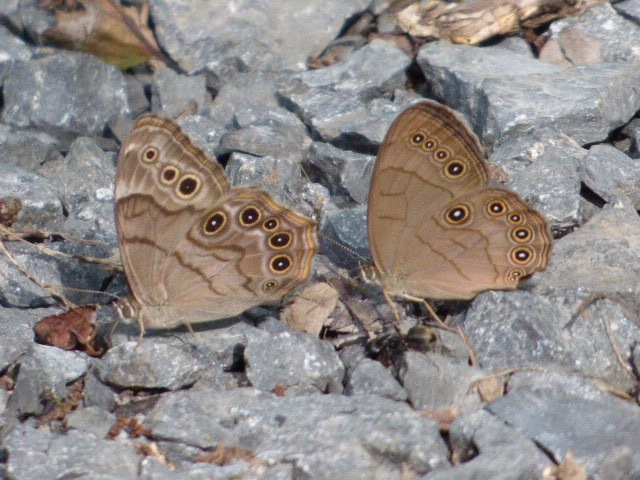 Also uses Fowl Mannagrass (Glyceria striata) in West Virginia. 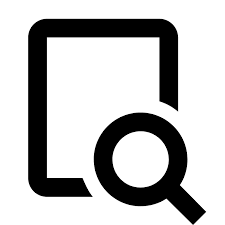 There are 105 records in the project database.